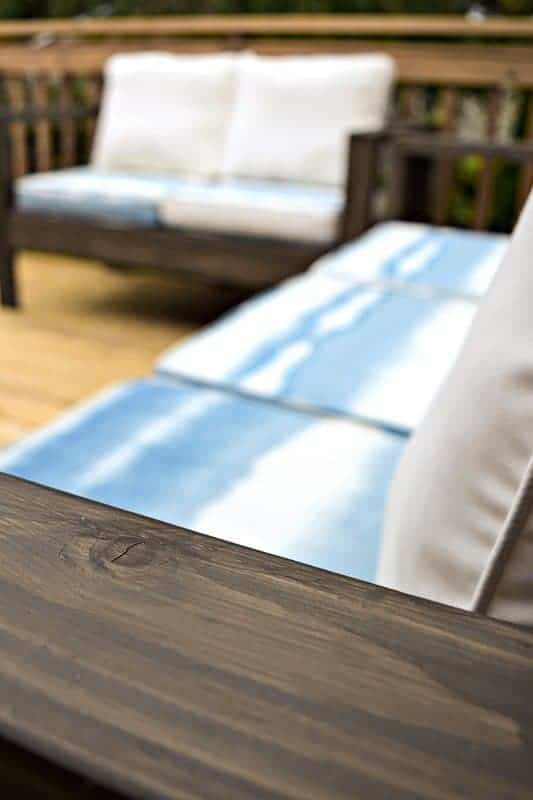 This DIY end table does double duty on your deck or patio! 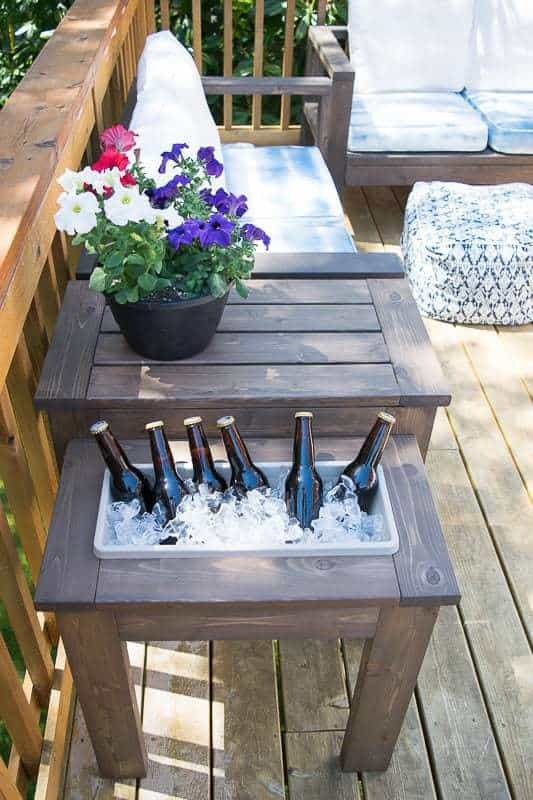 Keep drinks cool while you relax outside with the built in ice bucket, or switch it to a planter box for sweet-smelling flowers. Our quest for the ultimate deck is slowly starting to come together. The outdoor sofa and loveseat set I built creates a cozy seating area in the corner, and outdoor rope lights around the perimeter give it just the right ambiance. But what good is all that when there’s nowhere to set your drink?!? This DIY end table provides the perfect solution to two problems in one compact space! Buy two if you plan to switch out the flowers for an ice bucket occasionally! Get the plans for this outdoor end table here! Start by cutting all the pieces to the dimensions listed in the plan. Sand down any rough edges before starting assembly. 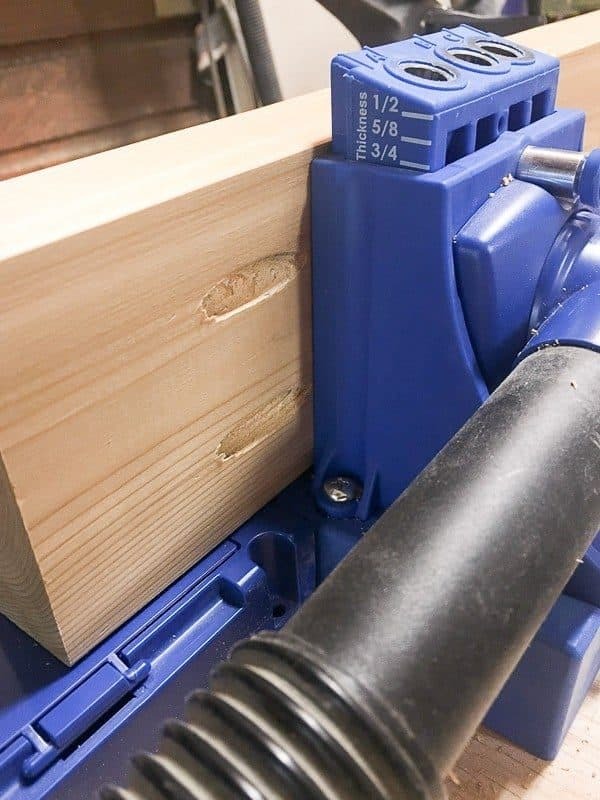 Drill pocket holes in both ends of top tier frame pieces at the 1 ½” board thickness setting. 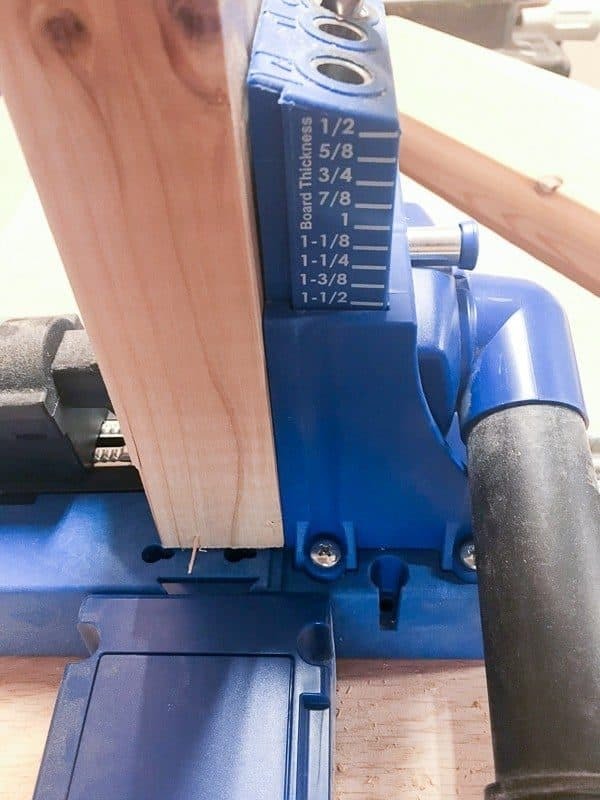 Then drill pocket holes along one length at the ¾” setting. Attach these to the legs with 2 ½” pocket hole screws. 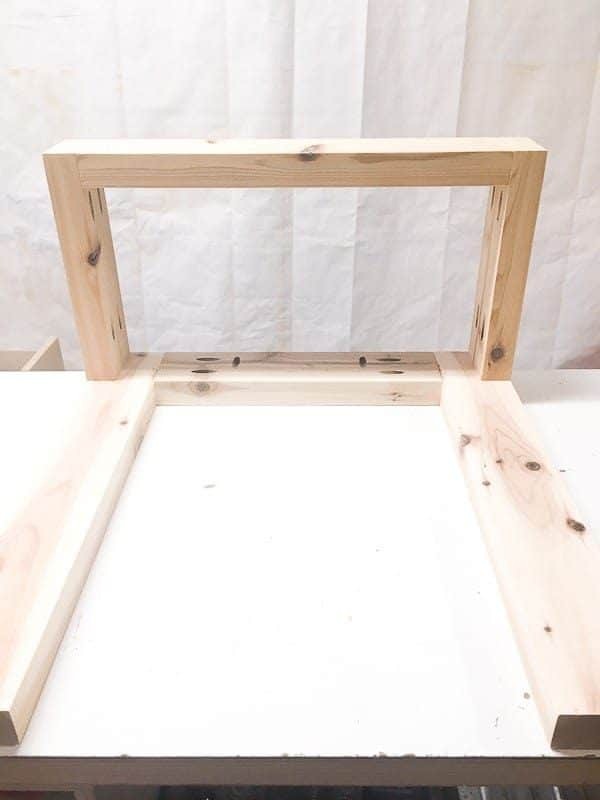 The holes along the long edge should be facing up and will be used to attach the top later. 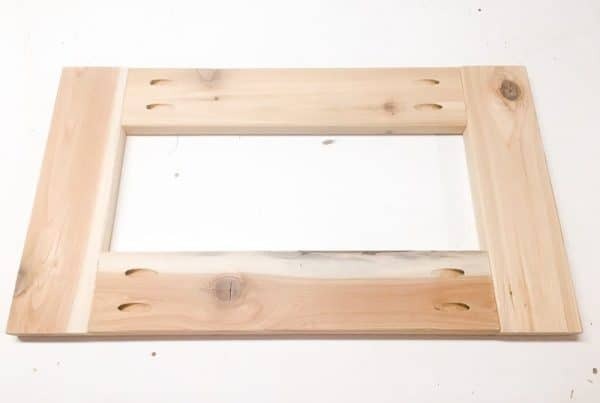 Repeat the process for drilling pocket holes for the bottom tier frame pieces. 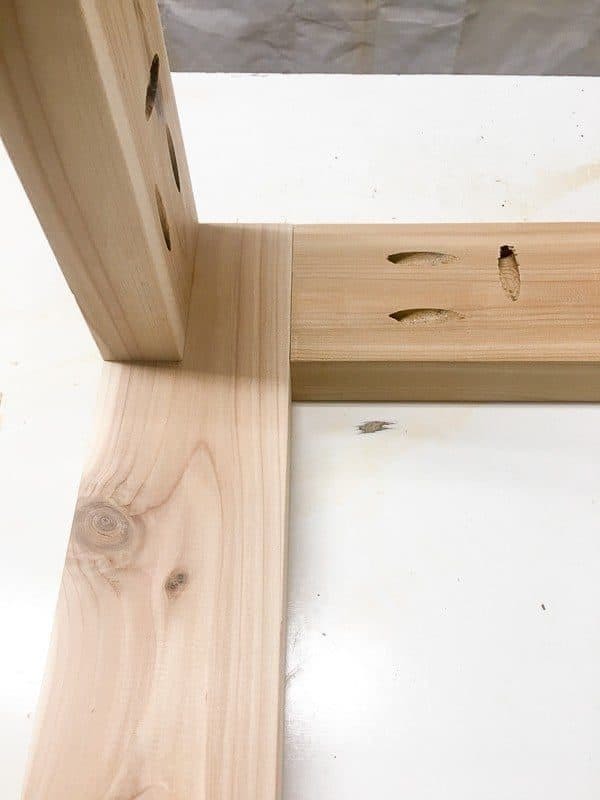 Attach them to the outside edge of the end table legs with 2 ½” pocket hole screws. Attach the other set of legs. It may be a little tricky to fit your drill inside the frame to attach this piece. I used a right angle drill attachment to get into this tight spot. The planter side of the end table only needs one pair of legs. The tops of the end table are made out of 1 x 4’s. 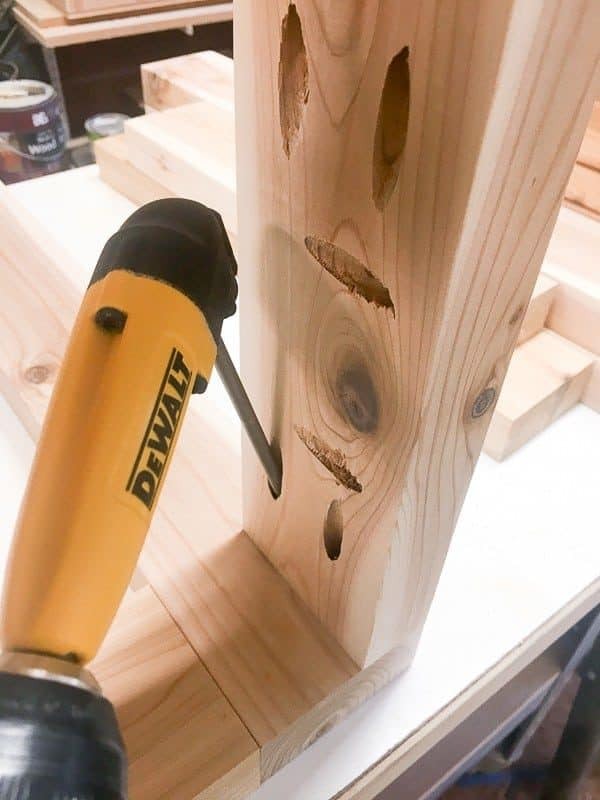 Drill two pocket holes into both ends. 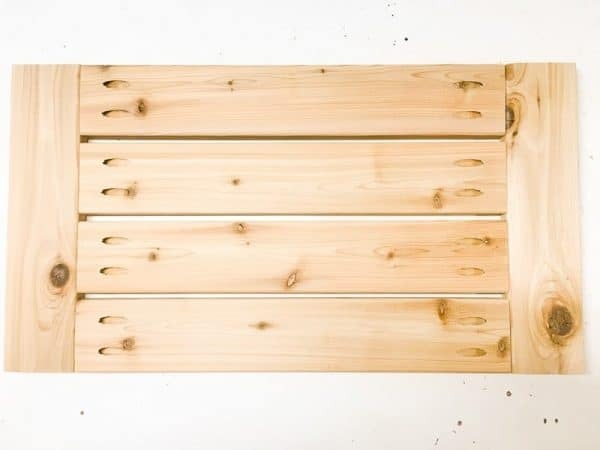 Attach these to the side pieces with 1 ¼” pocket hole screws, leaving about ¼” between each slat. 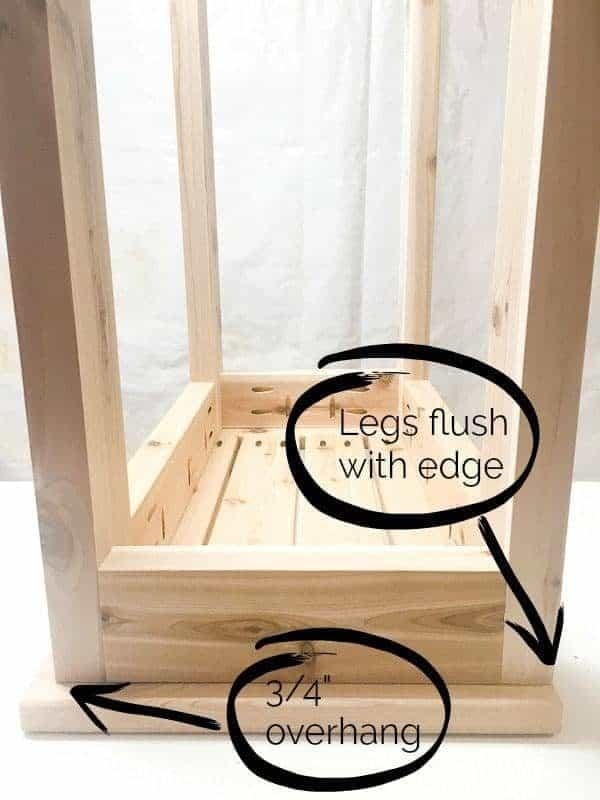 Assemble the planter side the same way, but leave a space in the middle that is big enough for the lip of your planter box to rest on top securely. This one was custom fit to this plan. You’ll want to buy two planter boxes if you want to switch out flowers for the ice bucket, unless you like dirt in your ice! 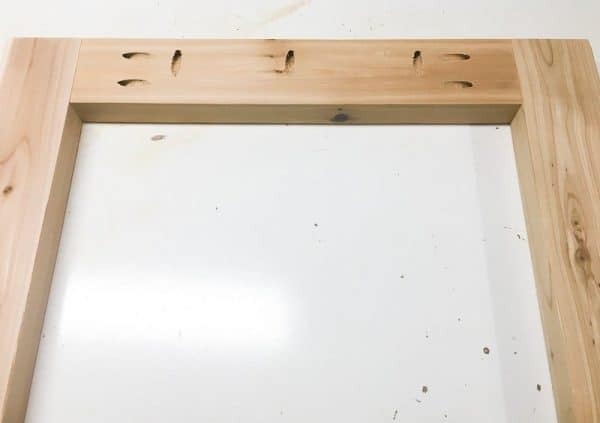 Attach the table tops to their matching frames with 1 ¼” pocket hole screws. One long edge should be flush with the legs, and the other sides should overhang by ¾”. Now is a good time to paint or stain your end table. I used the same exterior stain as the outdoor sofa and loveseat I built, so the entire set matches perfectly! Stand both halves next to each other on a flat surface with the flush sides together. 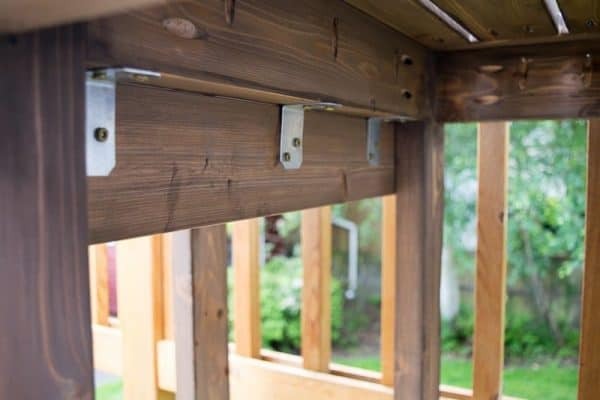 Check that the planter side is level, then attach it to the upper end table side with 1 ½” L angle brackets. Fill your planter box with flowers (or ice) and drop it in. The lip of the planter box should rest on the edges of the table top, and can easily be switched out. 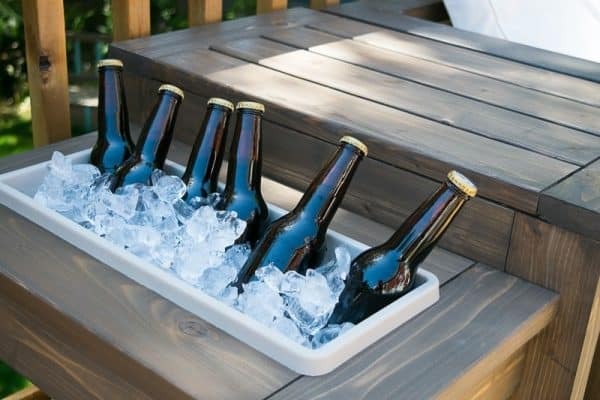 The planter box comfortably fits a six pack, so you always have your favorite beverage cold and close at hand. 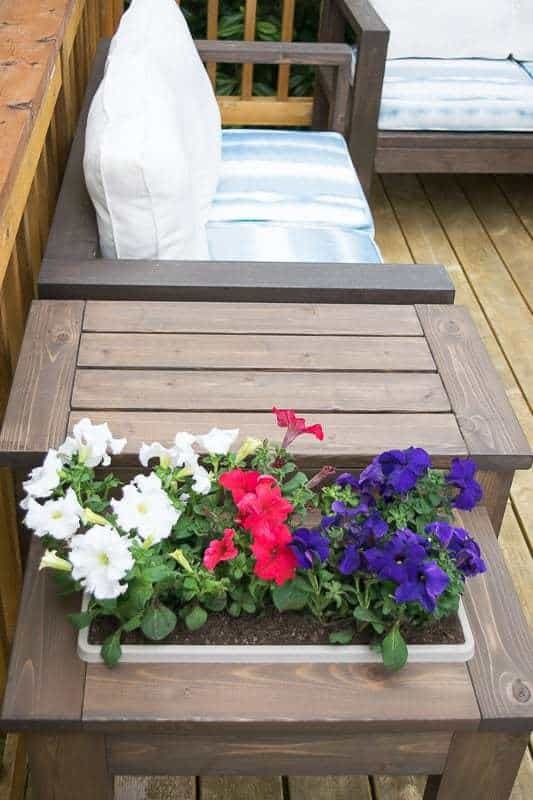 Or switch out the box with one full of beautiful flowers to enjoy while relaxing on your deck or patio. I still have another end table and a coffee table to build for our deck, so stay tuned for more woodworking plans! Until then, don’t forget to check out my outdoor loveseat plans too! If you would like to keep up to date with my latest posts about woodworking, home decor and more, you can follow me on Facebook, Pinterest, or Instagram. 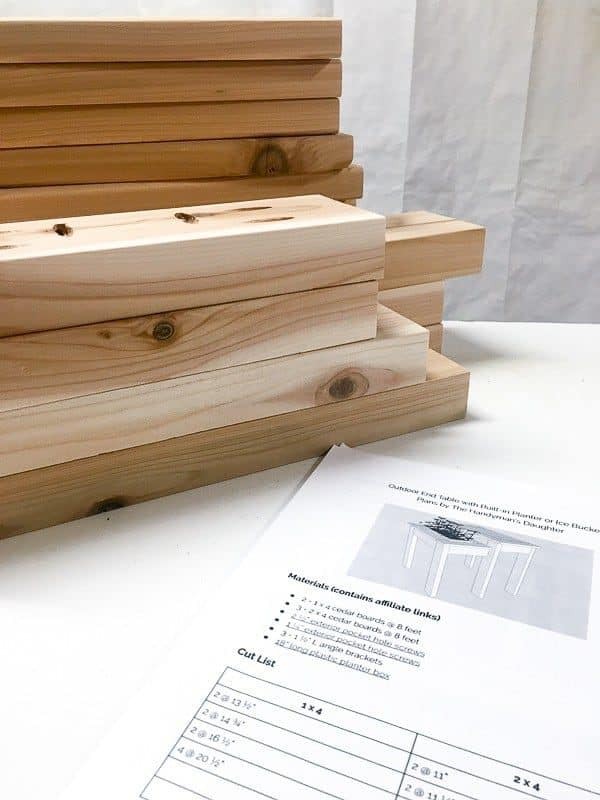 You can also sign up for my email list below and get access to the plans in my woodworking plans library! Oh this is awesome! I will definitely be checking out your DIY woodworking page! I LOVE this idea! 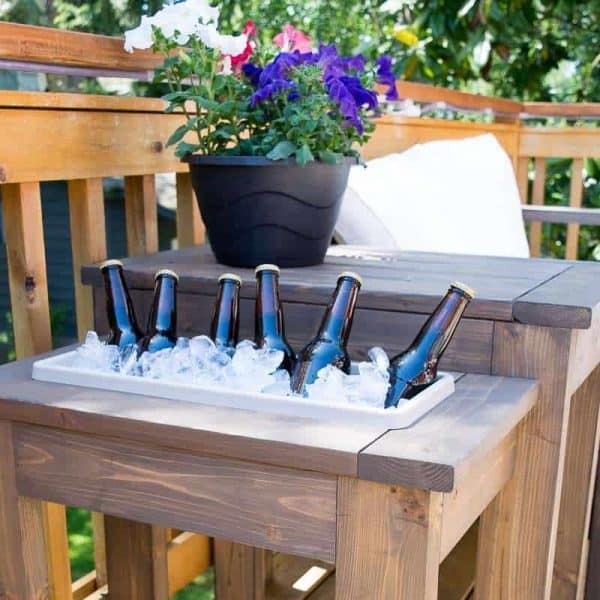 I need to make a few for my back porch pronto! Thank you for sharing at Merry Monday!! Perfect! Your deck builds are looking amazing.Scheduling to Pinterest again ans featuring tonight. Have a great week. Oh I absolutely adore this! When my husband and I get to making our back yard furniture, this is my number one MUST! A built in little cooler for our beers! What an awesome idea. I love that you showed it as a ice bucket and planter. Thanks for sharing on Sunday’s Best. I am so impressed with your project. I need this tutorial on how to use a kreg pocket hole driller. So cute. Thank you for sharing at Happiness is Homemade. You are well on your way to the ultimate deck for outdoor living. Love it! What a cozy setting you have created. A great place for morning coffee or evening entertaining. This is a Featured post at Merry Monday this week! Sharing! Can’t wait to see what your next project is! This is really cute! Thanks for sharing with SYC. What a fabulous summer project Vineta!! Thank you for sharing it at Create, Bake, Grow & Gather this week. 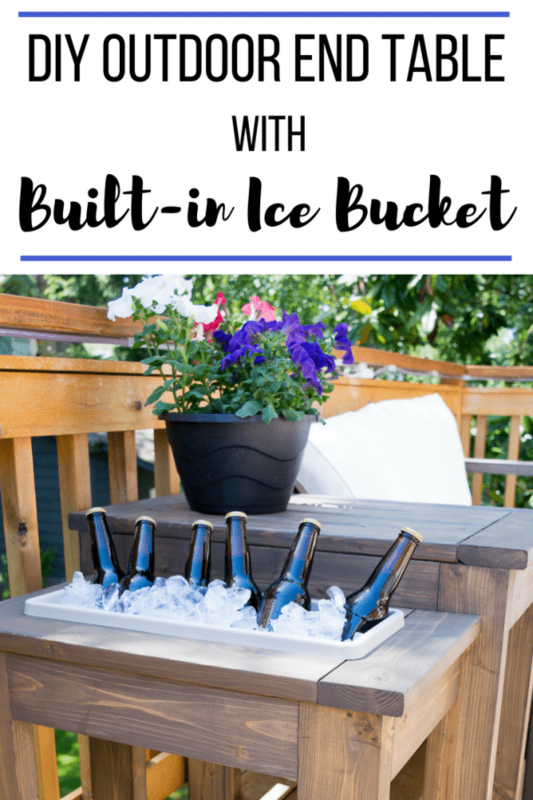 I’m delighted to be featuring your end table with built-in ice bucket at tonight’s party and pinning too! I’d love a pair of these for our patio! So cool! Thanks for sharing at Merry Monday; I’ll be featuring your DIY end table at our upcoming party. Hope you’ll join us again next week! I love this! I like it as a planter too.